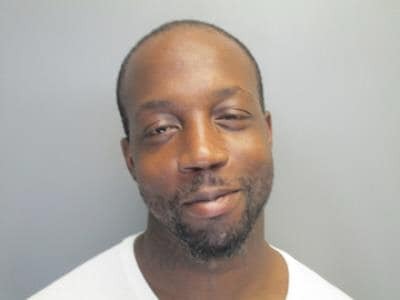 COLUMBIA, S.C. – A suspect wanted for two counts of attempted murder is still on the run and the US Marshals Service is asking for the public’s assistance locating the man. Rodriguez Priester, 30, is described as weighing 192 pounds and stands at 5 feet 9 inches tall. US Marshals say he is known to carry an AK-47 and could be possibly be wearing body armor. Priester is wanted in Bamberg County stemming from an alleged shooting incident in August 2018. US Marshals say he has ties to the Columbia and Orangeburg area and may have fled the area. Anonymous tips can be called into 1-888-CRIME-SC (1-888-274-6372) or submitted on the web at www.midlandscrimestoppers.com and click on the Submit a Tip. Your tip could earn you a cash reward of up to $1000 for information leading to the arrest of PRIESTER. PRIESTER is considered armed and dangerous, the public should not approach him, but should contact Midlands Crimestoppers, say officials.